s4s-Surfaced 4 Sides, Kiln Dried, Random Length 6'+, 95-100% Clear. Custom Sizes Upon Request. WORKABILITY: Easy to work and finish, Glues and stains well. Occasional interlocking grain may lead to tearouts while planing. 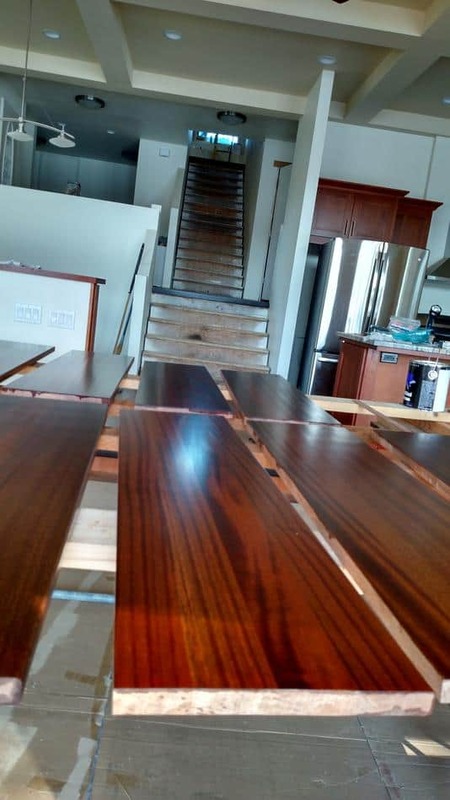 Sapele is a popular alternative to the more expensive Genuine mahogany lumber or Genuine Mahogany Dimension (Swietenia macrophylla) from South America. Sapele is often quartersawn, which produces an amazing "ribboning" affect making it one our our most popular choices for our dimensional lumber (s4s - surfaced 4 sides). Wood Vendors also offers Genuine Mahogany Lumber, Flat Sawn Sapele s4s Dimension as well Quatersawn Sapele s4s and Sapele Lumber. 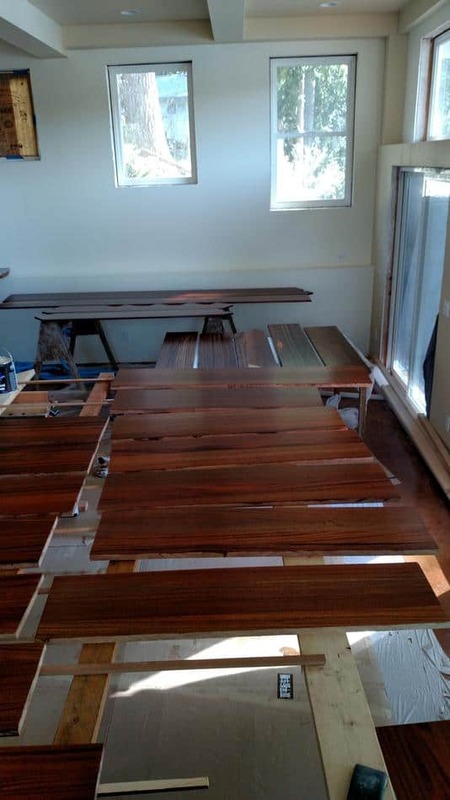 Quartersawn Sapele is more stable and resistant to movement than Flat Sawn Sapele, making it an outstanding choice for high moisture environments such as boats. Call Pat or Tom at 1-877-983-6367 to discuss your options in Ribbon Sapele today!